The first World Malaria Day was observed on 25 April, 2008 led by the World Health Organisation (WHO). The theme for the 2018 World Malaria Day is Ready to beat malaria. The parasite plasmodium is ideally spread through the female Anopheles mosquitoes. These mosquitoes usually bite at night and dusk. Once the parasites are inside your body, they travel to the liver, where they mature. After several days, the mature parasites enter the bloodstream and begin to infect red blood cells. Within 48 to 72 hours, the parasites inside the red blood cells multiply, causing the infected cells to burst open. Malaria in very rare cases can spread through blood transfusions and needles. The symptoms of malaria are fever, headache, flu-like symptoms and vomiting. 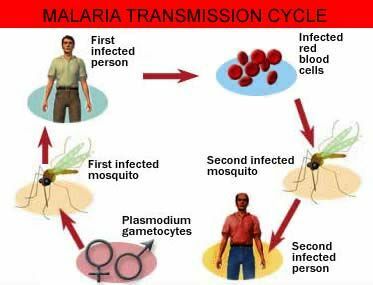 The malaria parasite (Plasmodium parasites) infects and eliminates red blood cells. The blood carries these parasites to the brain causing cerebral malaria. Pregnant women contracting malaria poses a severe risk of life to the mother, foetus and the new-born. In India, the National Malaria Control Programmes conducts programs and takes measured to eradicate this disease from India where it is a serious public health issue. Nearly 95% of the population resides in areas endemic to malaria. In 2017, out of 840838 cases of malaria, 103 deaths were reported.